Live Casino players are going to be spoilt for choice as ComeOn adds Extreme Live Gaming live casino games. This is in addition to the complete suite of games they already have from Evolution Gaming. 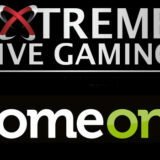 Extreme Live Gaming, part of the NOVOMATIC Interactive division, is delighted to announce ComeOn! as one of its latest Live Dealer partners. Launching on Comeon.com initially, as well as seven other ComeOn! 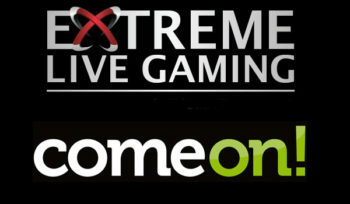 brands Extreme’s groundbreaking and innovative games will be added to enhance ComeOn!’s wide range of casino products portfolio. ComeOn! will extend its product reach by offering Extreme’s Roulette, BlackJack and Roulette games. The Extreme Roulette suite features unique and exclusive NOVOMATIC-themed titles such as Book of Ra™ and Sizzling Hot™. Broadcasting from its London studios and licensed in the UK and utilising HTML5 technology, Extreme Live Gaming also delivers social themed games such as Club Roulette, as well as Italian and German language products, and a range of leading Baccarat products. In addition, ComeOn! will add the Live Box Roulette games streamed live from Casino Admiral in Gibraltar. Click here if you’re interested in seeing the new games.